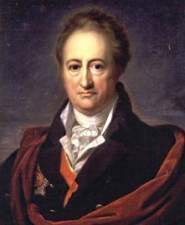 Johann Wolfgang Von Goethe left one of the richest legacies of wise and inspiring quotes of anyone I have encountered. Enjoy reading them and reap the wisdom! I have come to the frightening conclusion that I am the decisive element. It is my personal approach that creates the climate. It is my daily mood that makes the weather. I possess tremendous power to make life miserable or joyous. I can be a tool of torture or an instrument of inspiration, I can humiliate or humor, hurt or heal. In all situations, it is my response that decides whether a crisis is escalated or de-escalated, and a person is humanized or de-humanized. If we treat people as they are, we make them worse. If we treat people as they ought to be, we help them become what they are capable of becoming. A man can stand anything except a succession of ordinary days. Knowing is not enough, we must apply, willing is not enough, we must do. To be pleased with one's limits is a wretched state. The greatest thing in this world is not so much where we stand as in what direction we are moving. This is the true measure of love, when we believe that we alone can love, that no one could ever have loved so before us, and that no one will ever love in the same way after us. We must always change, renew, rejuvenate ourselves; otherwise, we harden.